March 2017 will go down as the month when the anti-establishment Five Star Movement (M5S) established a clear polling lead over the ruling Democratic Party (PD). Beset by the defection of a left-wing bloc and embroiled in a leadership contest that many did not desire, the centre-left PD has lost significant ground – notwithstanding Five Star’s own difficulties in the major cities it now governs and in enforcing internal discipline. Thirteen polling firms produced a grand total of 33 polls in March – in most countries this would be the kind of volume only seen in a General Election campaign. 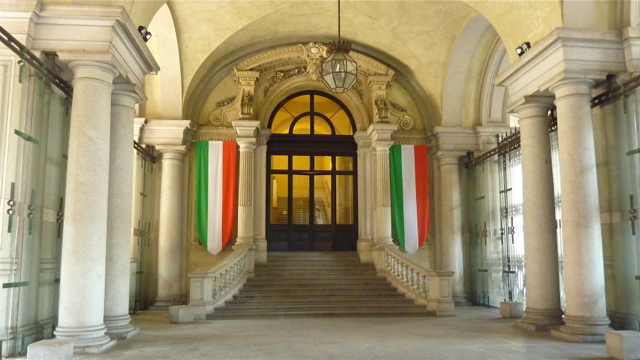 However with the PD leadership race, local elections due on 11 June, and the prospect of early parliamentary elections still lingering, it is certainly a critical time in Italian politics. Of the 33 polls, M5S led in no less than 26, averaging 28.8 per cent of voting intentions. Of the six where the PD was placed ahead, four were produced by one pollster, SWG. The other two, from Winpoll and Piepoli, were published at the very start of March, and by the end of month Winpoll had moved into line with other surveys putting M5S ahead, while Piepoli was showing a tie. In third and fourth place respectively, the Lega Nord and Forza Italia held steady during the month, as did Fratelli d’Italia. The brand new Democratici e Progressisti (MDP), a 40-strong breakaway from the PD’s ranks of deputies in February, showed quite a range of scores in its first few weeks of existence, averaging 4.3 per cent in March. The NCD re-christened itself the Alternative Popolare (AP) during the month, but has so far failed to live up to its new name, not exceeding 4.5 per cent in any poll. In the table below the scores for the Italian Left and Others should be treated with caution, as different pollsters allocate some of the minor parties (such as the Reformed Communists) to different headings in their published results. Image: Museo Nazionale del Risorgimento, Torino, Italy. Photo: Andrew Cornwell. All rights reserved.